Overall a nice place to stay. I had no concerns. The airport shuttle was a nice bonus and much appreciated. Where to find Burlington hotels near an airport? 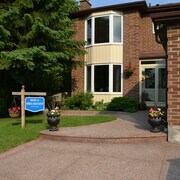 Where can I find hotels in Burlington that are near tourist attractions? Burlington offers visitors to Southern Ontario a quality assortment of great hotel and apartment possibilities to choose from. 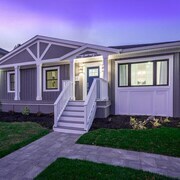 You will find no less than 28 short- and long-stay options within 0.1 kilometres (0.1 miles) of downtown Burlington on our informative and up-to-date accommodation section. 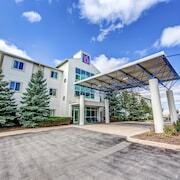 If you'd like a room close to the downtown area in Burlington, be sure to check out the centrally located Waterfront Hotel Downtown Burlington. 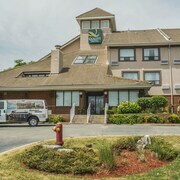 The Waterfront Hotel Downtown Burlington and Best Western Plus Burlington Inn & Suites are near Spencer Smith Lakefront Park. You could also check out the Homewood Suites by Hilton Hamilton, Ontario, Canada and also the Homewood Suites by Hilton Burlington. 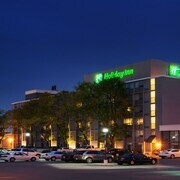 The Homewood Suites by Hilton Hamilton, Ontario, Canada can be found 10 kilometres (6 miles) from downtown Burlington. 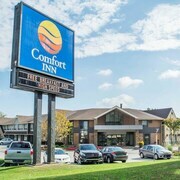 The Homewood Suites by Hilton Burlington is situated 8 kilometres (5 miles) away. 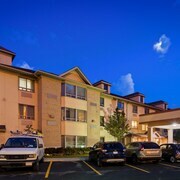 You could also choose to check out the amenities and rates at The Waterside Inn or the Courtyard by Marriott Hamilton. Looking to go a little further afield? Southern Ontario offers many options. Investigate Southern Ontario's traditional villages and churches and photograph the region's beaches, coastal plains and forests. Common things to do in this part of Canada include skiing. Looking for more to do? Consider spending a day or two discovering the McMaster University and the Royal Botanical Gardens in Hamilton, 10 kilometres (6 miles) to the southwest of Burlington. 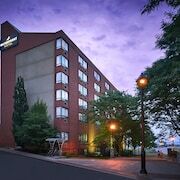 The Staybridge Suites Hamilton Downtown and Crowne Plaza Hotel Hamilton are some of the Expedia-listed accommodation alternatives in Hamilton. Alternatively, you could stay in Oakville, 16 kilometres (10 miles) to the northeast of Burlington, where you can choose from the Holiday Inn Oakville Centre and Monte Carlo Inn Oakville Suites. If you're staying in Oakville, a couple of places to add to your itinerary are the Sheridan College and the Glen Abbey Golf Course. 30 kilometres (19 miles) to the north of Burlington is Mississauga, a regional center with a population of 650,000, home to great visitor attractions like the Playdium, Heartland Town Centre and the Living Arts Centre. The Art Gallery of Mississauga and Mississauga Civic Centre are also worth investigating. Mississauga offers Expedia-listed hotels and apartments to suit all budgets and tastes, such as the Park Suites Mississauga - Skymark and Residence Inn by Marriott Toronto Mississauga/Meadowvale. John C. Munro Hamilton International Airport is 20 kilometres (12 miles) from the middle of Burlington. 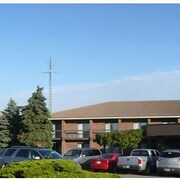 Super 8 Mt Hope Hamilton Intl Arpt ON is only a short taxi trip from the airport. What are the most popular Burlington hotels? Are there hotels in other cities near Burlington? 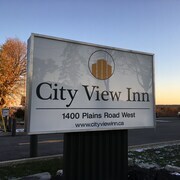 What other types of accommodations are available in Burlington? Explore Burlington with Expedia.ca’s Travel Guides to find the best flights, cars, holiday packages and more!